You would never know it was there. The automatic sliding doors give no hint of the majestic secret hidden within. 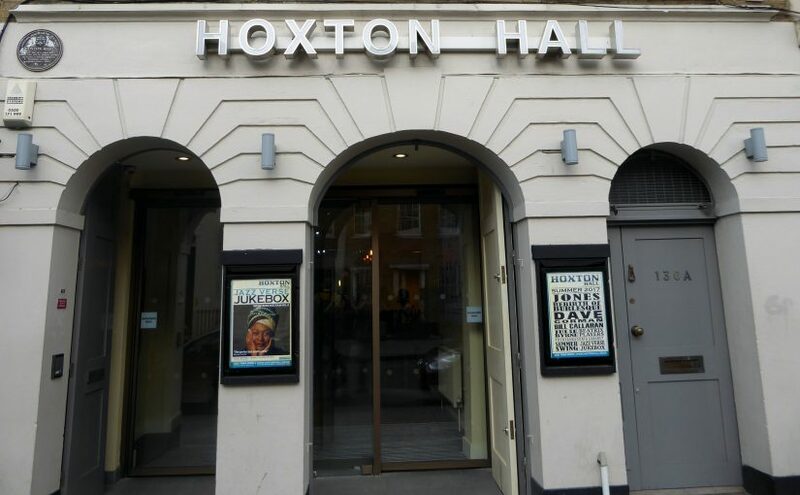 Originally built in 1863, Hoxton Hall is a wonderful example of a good old fashioned saloon-style music hall, the modest central stage fronting a spacious ground floor, with impressive cast iron columns supporting two levels of galleries on all three sides. The overall effect creates a casual, relaxed and intimate atmosphere and the eager audience complete the perfect setting for tonight’s launch of the remarkable debut album ‘Magnified’ from the thrilling Beatrix Players. 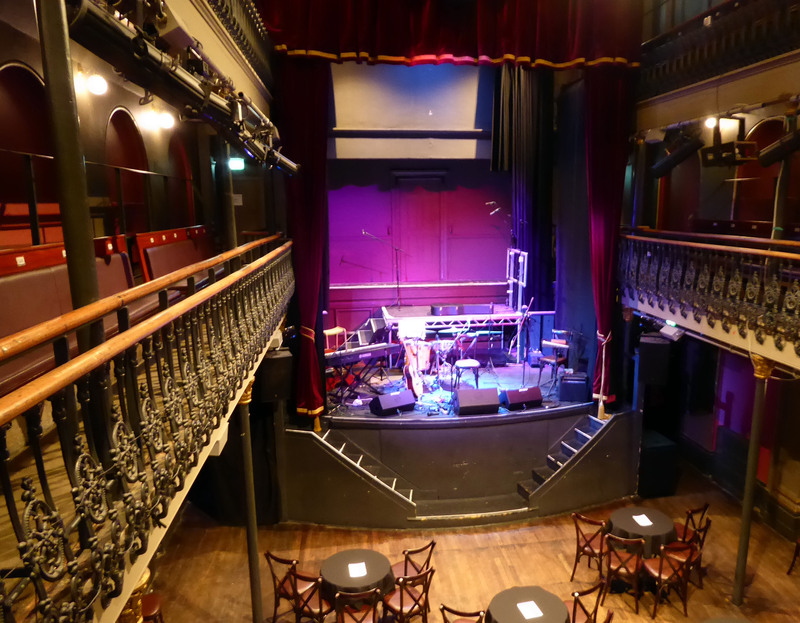 The hushed murmur of voices give way to a polite ripple of applause as they take the stage and a happy silence descends as the opening notes of the haunting Rushlight gently fill the room. The insistent call of the piano gradually increases in emphasis and urgency, matched by a vocal harmony which is initially delicate but also grows with a matching power and intensity. The unwavering menace of the cello brings a grounding strength and depth as the song builds to a defiant, majestic crescendo before, passion spent, it falls away to the tranquil calm of the beginning once more. The effect on the auditorium is spellbinding: not for the first time during the course of the evening, people are utterly enthralled and completely captivated by the graceful energy and compelling spirit of the performance. The confines of the stage enforce a close proximity between the three main musicians, which in turn accentuates and highlights the wonderfully intuitive interplay and understandings which exist between them. 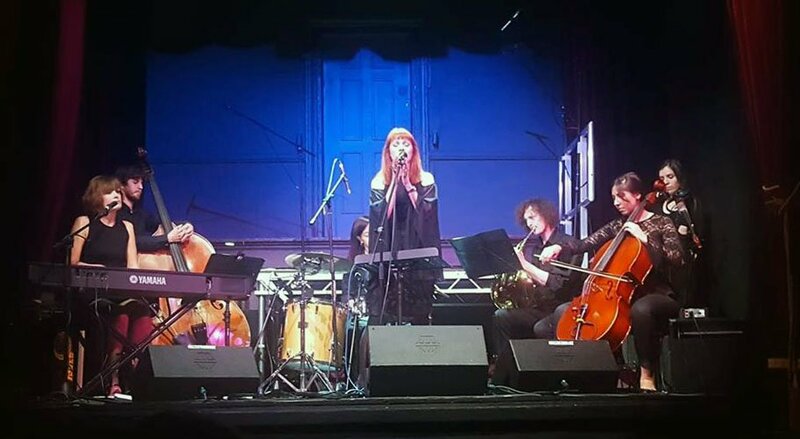 There is a dynamic and deeply creative relationship between keyboards, cello and voice which is delicately attuned to the shifting ebbs and flows of the rhythms of each song and which is absorbing to see unfold. 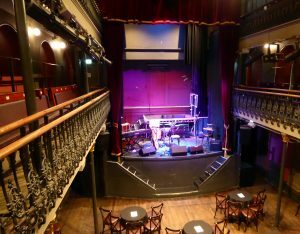 They are joined tonight by Robyn Hemmings on double bass, Jez Houghton on French horn, Maria Kroon on violin and Emanuela Monni on drums and percussion. The subtle alterations to the musical arrangements for some of the songs are breathtaking in the impact they bring. The integration of the French horn and violin in particular are absolutely inspired, creating a more open and expansive soundstage which provides greater emotional resonance and clarity of expression. Never Again and Walk Away possess a biting vitality which is not as readily apparent on the album, but with these additions is an absolute pleasure to experience live. During the evening we are provided with some unexpected treats in the form of songs from their original EP and a beautifully moving cover of Hurt before an almost apologetic and low key introduction ushers in All That Thinking. A song about female infertility and the impact it has on relationships, the performance tonight is emotionally charged and profoundly moving. The sheer extent of the impact it has on the audience defies description and I know I was certainly not alone in being overcome and shedding a tear by the often unspoken heartbreak it creates. One further surprise remains in store for us as the raised dias behind the main performers fills with the arrival of the SOUND choir for the final three songs. 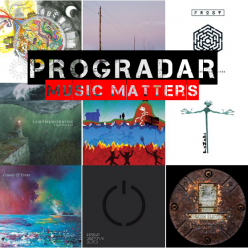 Their presence and influence is striking and uplifting, bringing new dimensions and insights to songs which, as a result, carry an embracing immediacy and sparkling warmth. The mesmerising Ophelia and the sizzling encore Roses spring to life with an astonishing and breathtaking vibrancy to mark the perfect end to a magnificent evening of stunning music. A second concert has been announced for St Pancras Old Church on the 5th October 2017. Tickets are available now and I cannot recommend highly enough what a mesmerising, captivating and thoroughly enchanting experience awaits if you decide to go. Do not hesitate. There are few delicious pleasures in life as wonderfully satisfying than being so completely absorbed and utterly enthralled by the music to which you are listening that all sense of time, space and place are temporarily forgotten. 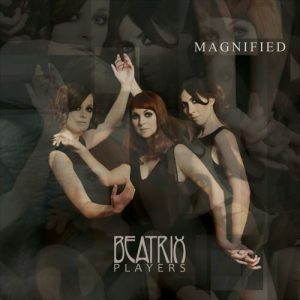 ‘Magnified’ is exactly that kind of delightful surprise, effortlessly exerting a mesmerising and seductive captivation which renders this beautiful debut album from Beatrix Players a thoroughly enchanting experience. The irresistible allure of the music is skilfully crafted around the thrilling and ever powerful presence of the piano, offset and complimented by the vivid and often dramatic strings of the cello and both are nurtured and encouraged by the melodic nuance and emotional poignancy of the vocals. The shifting ebb and flow between the three players creates an exciting and edgy dynamism, the fluid and continually evolving interactions forming sumptuous textures and compelling soundscapes that are happily spell-binding. Yet there is also a foreboding sense of driving purpose diffused at all levels throughout the album, a strong and uncompromising spirit of determination which supplies a creative vision buried in the heart of what is being played. There is a willingness to dabble, to experiment, to pursue the meaning being conveyed in the music by blending differing styles and genres in order to capture and convey the unique sound which is so earnestly being sought. 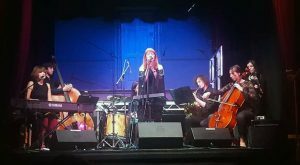 Given the nature of the instruments involved there is no surprise to find elements of classical, baroque and even choral traditions but these have been delicately infused with rhythms and styles drawn from folk, prog, blues and jazz to craft an impressively expansive and hugely evocative sound which is as enthralling as it is consuming. It is a combination which forms the perfect cradle to tell the sometimes painful and all too human stories which inspire the songs with which we are being presented. “The power of music”, Jess Kennedy (piano) believes, is its potent ability “to make people feel something”, to take hold of you and let you become lost in the moment. At heart, ‘Magnified’ is an intelligent series of narratives, stories and vignettes which speak with tremendous power and feeling to the day to day situations in which we find ourselves, the gamut of emotions we experience and the often agonizing and difficult problems with which we wrestle. But this is music which is sensitively designed to make you think as well as feel. It works so well because it takes the rawness of everyday experience and fuses it with the mythology and the symbolism of age old stories which are familiar to us all. Real life mixes with fantasy to create sweeping, expressive melodies that are rich with empathy and compassion and form an enticing gateway through which we hardly notice ourselves enter. What we find is the darkness which sometimes occupies the heart of beauty and often hidden within everyday life. This is not an album which shies away from or turns a blind eye to the more troubling aspects of human experience, despite the seeming elegance and charm of the music itself. Indeed, it is precisely the combination of the open vitality of the music with a biting realism of what life sometimes throws at us which allows the songs to communicate with such commanding potency and emotional authority. “So I can’t write a love song” is the forlorn opening to Molehill (Track 5), thoroughly bewitching in terms of the music, heartbreaking in terms of the lyrics. Never Again (Track 3) positively makes your blood run cold with its plaintive “The walk of shame / In the middle of the day / The sun hits my tears / And blinds my thoughts / And in this moment I am numb / Another night and surely I’m done”; yet all we initially hear are the strains of piano and cello gently rippling and undulating in the background. This is the standout achievement of what is without doubt a magical album. We are graced with music which opens the soul to the full catalogue of human experiences, without blinking and yet, without retreating either. There is strength and resolve in the darkness: “I’ll cut my hair / Become courageous / For I will live to outdate this / Take a risk and find strength” (Never Again). Forlorn does not necessarily or always mean despair and resignation. We can find, within ourselves and with the help of others, the strength to rise above what trouble us. With the release of ‘Magnified’, Beatrix Players have created a truly stunning and enchanting collection of musical experiences to delight the soul and feed the mind. Call it bewitching, call it sublime, I thoroughly recommend sharing time with it and succumbing to all the enchanting journeys on which it will take you. 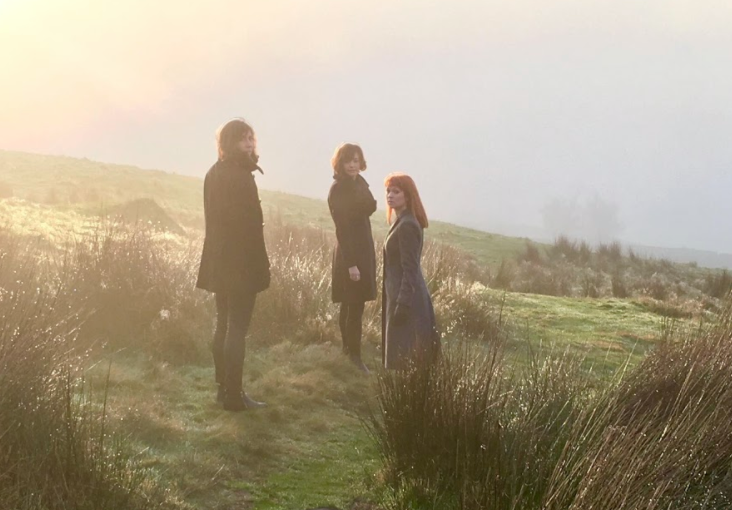 Beatrix Players have released a video of their debut single Lady Of The Lake, released on November 25th and taken from their debut album ‘Magnified’, which is scheduled for release in 2017. 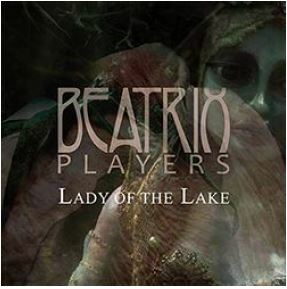 Lady of The Lake is the stunning first single to be taken from Beatrix Players debut album, with the single launch being held at the Green Note in Camden on Tuesday 22nd November. This first release tells a story of disconnect, difference of opinion and the demise of a relationship. “In the video we used a mystical figure to portray how the male perceives the female in the relationship,” explains lead vocalist Amy Birks. “She is seen as seductive and somewhat dismissive in character, although the lyrics are written sympathetically towards her”. The powerful chorus tells of torment “although the man knows it’s over, he is still drawn to her qualities” explains pianist and co-writer Jess Kennedy. The listener is taken on a journey through the powerful & emotive expression of the music, whilst the delicate, almost hypnotic vocal counter melodies add to the unearthly and ethereal sound of the track. arrangements and empowered orchestral sound BEATRIX PLAYERS tell stories of real life and fantasy. 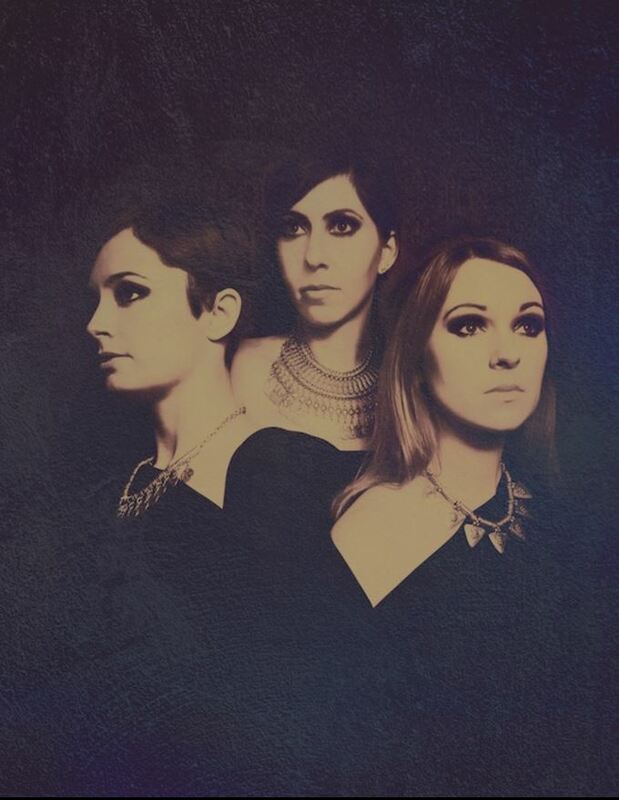 Citing influences as diverse as Michael Nyman and Regina Spektor and drawing comparisons to the likes of Kate Bush and Einaudi Ludovico; this London-based, all female trio combine elements of Folk, Jazz, Progressive and Classical music. In 2015 the band (Amy Birks, Jess Kennedy and Amanda Alvarez) took their unique sound – a beautiful combination of vocals, piano and cello – into the studio to record their self-produced debut album, which has been mixed by two-time BBC Folk Award winner, Jim Moray. 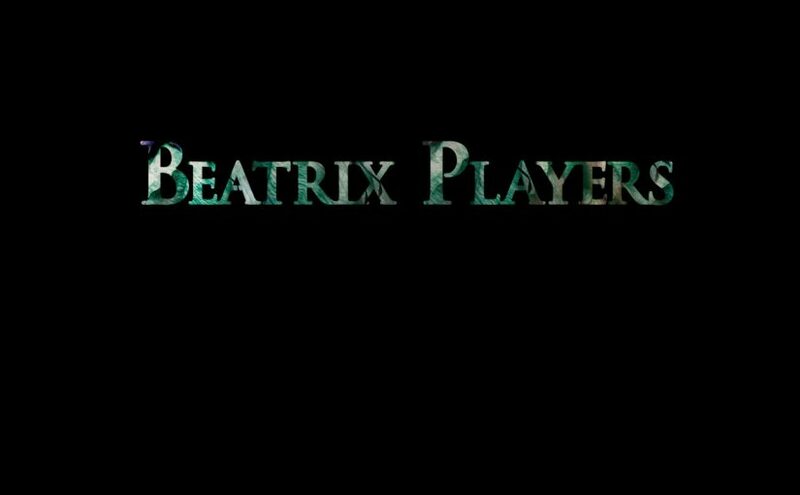 arrangements and empowered orchestral sound BEATRIX PLAYERS tell stories of real life and fantasy. 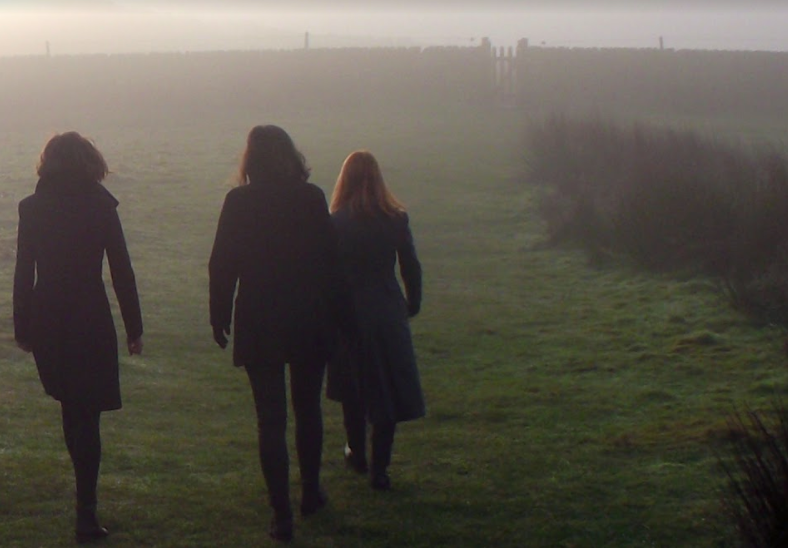 Citing influences as diverse as Michael Nyman and Regina Spektor and drawing comparisons to the likes of Kate Bush and Einaudi Ludovico; this London-based, all female trio combine elements of Folk, Jazz, Progressive and Classical music. 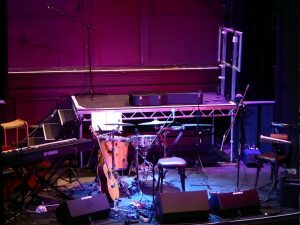 In 2015 the band (Amy Birks, Jess Kennedy and Amanda Alvarez) took their unique sound – a beautiful combination of vocals, piano and cello – into the studio to record their self-produced debut album, which has been mixed by two-time BBC Folk Award winner, Jim Moray. That album, titled ‘Magnified’, is scheduled for release in 2017.